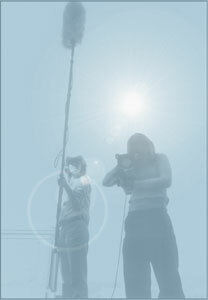 In the fall of 2000, Archeo-Tec Inc. launched its Documentary Film and Video Division. Equipped with a Canon XL-1 Mini DV camcorder and a Macintosh G4 editing system, the Film Division is now making full-length documentaries, responding to the wide public interest in Bay Area archaeology. We are also able to provide our clients with a short video chronicling the archaeological process on the proposed subject property. Educational videos for schools and the general public are in the works, as well as films documenting the rich history of the San Francisco Bay area from the prehistoric to the modern era. One current project is a biography of Ella Rodriguez, a local Ohlone-Esselen woman. The film, titled "Buried Stories," was completed in 2007 and is currently in distribution. More information can be found at buriedstories.com.